With a deadline of 100 hours, Elizabeth has no choice but to return to the life she once fled, where she will soon realize that everything she thought she knew is a lie, and what’s more shocking than Cain’s identity is the truth about her husband. The Serial Killer’s Wife is a 80,000-word thriller in the vein of Jeffery Deaver, John Sanford, and Thomas Harris. It includes a special foreword by Blake Crouch. "The Dishonored Dead is simply brilliant, and its telling a superb achievement. 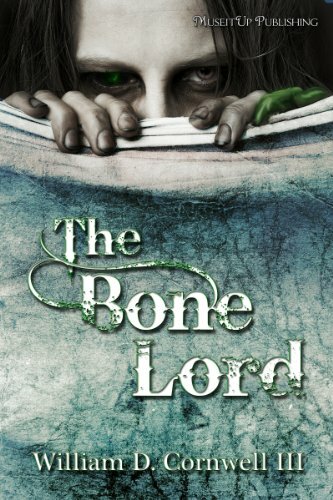 Robert Swartwood has given us a wonderful twist, not only on the zombie novel, but on the dystopian tale as well. It's like Brave New World meets Logan's Run, but with a bite all its own. Strongly recommended!" Have you read The Dishonored Dead yet? If not, it's still just 99 cents at Amazon and Barnes & Noble for a limited time. While you're there, check out some of Joe's books too. In other news, remember yesterday I mentioned how Amazon had once again made The Silver Ring free in the US Kindle Store? Well, apparently it's now back to 99 cents ... that is until Amazon decides to make it free again. So to start with, let’s see why you’re thinking of self-publishing. I’m not going to lie to you, friends, going it alone is an uphill battle. Although issues of distribution and printing are no longer a concern, you still have the marketability angle to deal with. The big boys have the money to shell out for advertising (such as they do), and big names will always dominate the searches on Amazon, Barnes and Noble, and the other online stores. You may well have written the finest horror novel of the 21 st century (so far), but on the day you upload your novel to the eBook store, the bestseller list is still going to be dominated by Stephen King, Dean Koontz, and Charlaine Harris. Here’s the good news. Also on that list are guys like Scott Sigler, Paul Eldard Cooley, and Robert Swartwood -- names you may not be familiar with, but who started pretty much where you are now and have used the social media and new media techniques that are just as available to you as anybody else to earn a spot on those Amazon lists. Um, what??? Don't get me wrong, I'm flattered to be mentioned, but right there next to Scott Sigler? The man is a New York Times best-selling author, for pete's sake! Still, my thanks to Blake Petit for including me in his essay. You can check out the first installment here. In another news, at some point this past Friday Amazon decided to make The Silver Ring free again but only in the US Kindle Store. I'm not complaining, as more readers the better, but it's difficult now to tell how many e-books I'm actually selling as opposed to selling and being downloaded. I haven't gotten last month's report yet, but I can view the prior six week's royalties, and The Silver Ring alone sold well over 1,000 units for the week after it came off sale. That's what we call momentum, baby! No. I absolutely do not, especially for MP3s and digital music. It’s invisible. It’s in space. If anything, I applaud a company like Amazon for equating the value of digital versus the physical copy, and giving the opportunity to everyone to buy music. Of course, as it turns out, Amazon paid the difference on all of those purchases to the record company, as this was also a way to help promote Amazon's new Cloud Drive and Player, so you can't quite equate it to the same as authors publishing their novels for the same price, but in a way, it does show a level of outward thinking on Gaga's part. So what can we learn from Gaga here? Well, that 99 cent can be beneficial at times. There will always be the debate on whether 99 cent e-books are good for the author and blah blah blah, but do you know who they can be very good for? The reader. Last week Aaron Polson did a little rant about this literary agent's blog post. It basically talks about self-publishing and comes to this startling conclusion: "This trend toward self-publishing serves primarily the writer. (Not readers and not the publishing industry as a whole.)" I thought about doing a blog post about this but never could think of anything good enough, as I began to focus more on why do writers read these blogs by literary agents in the first place? Sure, you can get some insight into the publishing industry, but do you really want to be represented by an agent who spends a lot of their time blogging when they should be reading manuscripts and trying to sell those manuscripts? In my opinion, most of these agents blog just for the ego boost it gives them and nothing more. I mean, look at that one agent's blog post and the 100+ comments. Almost all of the commenters are writers, and guess who they agree with -- the agent, of course! Like by agreeing with the agent might bring them closer to one day being signed by the agent. Anyway, my thoughts on "this trend toward self-publishing"? Yes, it serves the writer, but it also serves the reader by delivering reasonably priced e-books. I'm sure I mentioned here before how one of the main reasons I finally decided to jump into self-publishing e-books with both feet was because of Scott Snyder's Voodoo Heart. The Kindle edition had been $9.99, and I had waffled a bit on whether or not to buy it. Then, a month or two later, Random House went with the agency pricing model, and guess how much the collection became? $14.99. That's actually a bit more than the trade paperback at Amazon, believe it or not. So now I ask you: how does that price benefit either the writer or the reader? It doesn't benefit either of them. Who it benefits, of course, is the publishing company, and, perhaps, Scott Snyder's literary agent. Obviously that blogging literary agent doesn't really care much at all about readers, but just her own job. Because if more and more writers start going directly to readers, then where does that leave her? But 99 cent e-books? Sure, they can be beneficial. I mentioned last week how Amazon had stopped the free promotion The Silver Ring but the e-book was still selling. I figured when June started, sales would begin to trickle. But they haven't so far. Yesterday alone I sold over 100 e-books. As of right now today, I'm currently at 164 e-books. That's just in a day and a half. To give you some prospective, the number of e-books I sold on Kindle in April -- the month I released The Calling and did that mini blog tour -- was only 165. So within less than two months I already have massive increase. Granted, Amazon's free promotion on The Silver Ring helped matters drastically. In fact, so far this month the bulk of the sales are for The Silver Ring. I was lucky, but I also used that luck to my advantage. I didn't just sit back and see what would happen. No, instead I used the free promotion to promote my other work and did everything I could go spread the word to get the e-book to the top 100. And that happened. And, right now, it's paying off. Will sales for The Silver Ring eventually slow back down? You bet. Dave Silva says I'm way too pessimistic all the time, but I like to think of myself as just being realistic. Because let's face it -- the e-book isn't going to keep selling as well as it is all month long. It will eventually drop off. But that's okay. Because I'm sure another one of my e-books will just take its place. After all, the prices are right for the reader. And the reader is the most important thing here, no? So yeah, I got out of my car yesterday and my cell phone slipped and landed flat on the ground. It's not that big of a deal. I had enough foresight to get insurance on it, so all I need to do is take it in and get a replacement. But I'll tell you, being without Twitter and Facebook and email for several hours ... imagine my shock when I finally got online and saw that the Internet was still here! Thanks once again for everyone who entered the "Multiplicity" contest. You all came up with some really great equations. But there must be one winner, and, after writing each name down on slips of paper and picking one randomly, the winner is Jay Brown! Jay, email me at robert (at) robertswartwood (dot) com with your address when you get a chance, thanks. At some point this past Friday Amazon ended their free promotion on The Silver Ring. I figured sales would pretty much stop completely, but surprisingly they haven't. In fact, they continue to be very strong. I'll talk more about this in-depth once the month is over and I get my full sales report from Amazon, so I can calculate how many copies were downloaded free vs paid, but currently in the UK? The Silver Ring is number one in horror and beating out Justin Cronin.